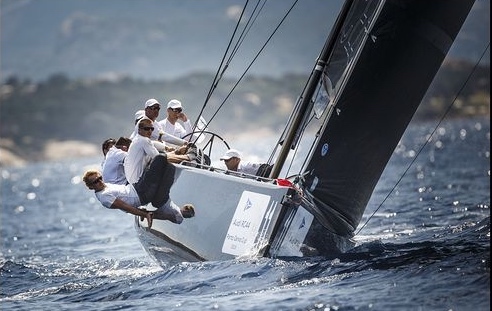 Chris Bake's Team Aqua, with Jim Richardson steering, has claimed the Audi RC44 Porto Cervo Cup albeit by a mere point after a final day of three races held in near perfect conditions off Sardinia's Costa Smeralda. The race committee boat departed mid-morning into a mill pond, but after an extra hour's wait ashore, the fleet was invited out to Porto Cervo's famous 'Bomb Alley' and a steady 10 knot northeasterly. 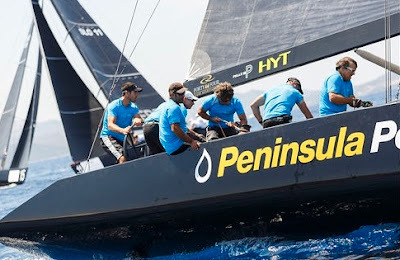 Starting the day with a five point lead over second placed Peninsula Petroleum, Team Aqua made a strong statement of intent, convincingly winning the first race. "I said to the guys that if we just go out and win races, the maths take care of themselves," explained their Kiwi tactician Cameron Appleton. While that was a good first step, unfortunately in the second race Team Aqua got boxed in and as Appleton put it "was very quickly spat out the back." On the leaderboard this set them back to square one, five points ahead of second. Then in the third race the aim was to cover second place. "We kind of blew that a little bit, but we caught back up and there was just a boat between us, but then I did something silly on the run and went the opposite way when I should have followed. So we put ourselves under some pressure," Appleton added. American helmsman Jim Richardson was elated. 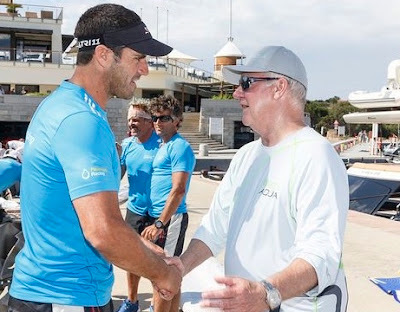 Although a three time Farr 40 World Champion and one of the world's most highly regarded amateur helms, this was his first ever RC44 regatta. "It is totally unexpected to me. It is a great crew and they have been on the boat for a long time and they know what they are doing. This is a really tough fleet and the depth is outstanding. It is such a great boat and such a great class. 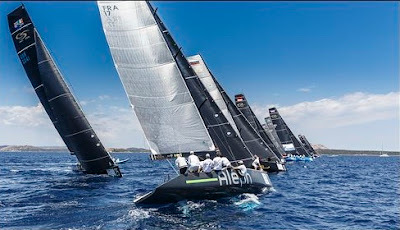 It is so well organised and they go to good places and that is what sailing is all about to me. And I love Porto Cervo, it is the sailing Mecca. We had light winds here this week, but these boats don't need a lot of wind," Richardson said. One of the strangest aspects of this regatta was how high scoring it was with every team picking up poor results along the way. It remained impressively close with the top two a point apart and with Slovenian Igor Lah's Team CEEREF only two points adrift in third. The podium finishers were also today's three winners. The most spectacular start came in the second race when Peninsula Petroleum successfully 'port tacked' the fleet, crossing in front of the bows of 11 other fast moving RC44s coming at her with rights. Italian tactician Vasco Vascotto spotted that the pin end was heavily favoured, while the crew executed the manoeuvre to perfection, tacking at maximum speed and crossing the line exactly at the gun. "The good thing was that it was actually planned as opposed to it just being a fluke. 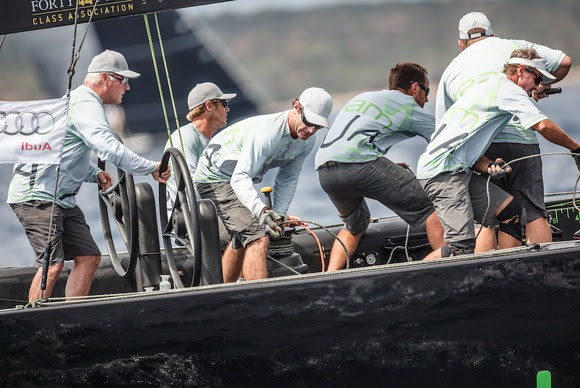 And it was a fantastic race, not that I saw much of it because I was looking forward through all of it," Peninsula Petroleum's owner John Bassadone said. "It's fantastic to be sailing well again, being up at the top of the leaderboard. 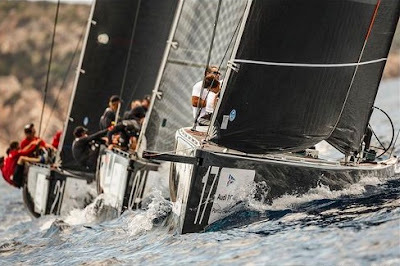 This class is even more competitive now than it has been over the past few years," said Bassadone, referring to their disappointing result at the first RC44 Championship regatta of the season in Malta.